The 14 Days Everest Base Camp Trek is one of the most beautiful hikes you can do. Being surrounded by some of the highest peaks in the world and the satisfaction of arriving to the base camp, it’s a unique and amazing lifetime experience. Is not an easy one though, for most of the people it’s a challenge that we’d like to help you overcoming with our recommendation ? It’s a very popular trek so there are many international agencies who offer it. 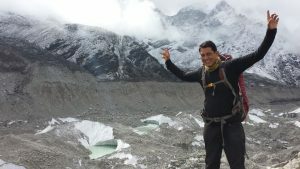 Nepal Guide Info and Nepal Planet Treks offer the tour for around 1,150$-1,250$ and could be a good option if you are looking to share the trip with more international travelers. But you can get a cheaper price booking it directly with one of the many local agencies operating from Kathmandu. We recommended you to take a look at the Trip Advisor and Lony planet forums first to get the reviews from other travelers but shouldn’t be a problem to find a trustworthy one.